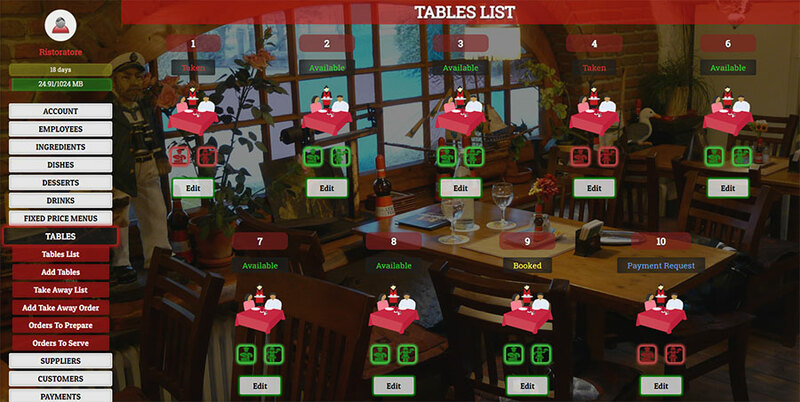 Restaurant Manager Pro is a cloud based software application to manage restaurants, pizzerias and bars. No other Restaurant Management System can improve your staff efficency and enhance your customers satisfaction better! With our cloud software application you can handle any task from everywhere, no hardware is required, no initial fee, and you can connect using any device you want, from your mobile phone to your desktop PC, your tablet, or any other device that can browse the internet! All what you have to pay is a monthly subscription, that you can renew whenever you want, even month by month paying with your Paypal account, and the 1st month is FREE so that you can test the software first! Your feedback matters! If you need a new feature that could be useful for every restaurant owner, just contact us and we will implement it as fast as we can in our pos restaurant software! If you are looking for a Restaurant POS System, look no further! Restaurant Manager Pro has No Setup Fees! No hardware to buy! You can use any smartphone, tablet, notebook or your desktop computer! Just 34.95 U$ per month for the best restaurant restaurant management system you can get! 5% discount if you extend 3 months, 7% if you pay 6 months or 10% if you extend your subscription for 1 year! Try 1 month for free! If you don't like our POS restaurant software there are no contracts involved! Kitchen staff and waitress can check and flag orders as "Prepared" or "Served"
Do you want to be a Restaurant Manager Pro reseller? Take 20% LIFETIME commission on every payment your customers make, even if you stop working you will still receive your cut from customers brought by you! 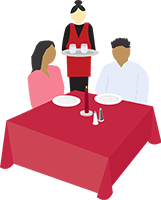 No investments or hardware required, just contact restaurants around you (or even all around the world) and offer them our restaurant management software!